It might not seem like a big deal that an airline bought 16 regional jets, but considering that China Express Airlines is the only specialized regional airline in the rapidly growing country, I think it is a pretty big deal. According to the press release below, the airline expects to triple the number of their routes in the next two years. That is some pretty serious growth in a region that is booming. It is interesting to see how some of these countries are developing their airlines by learning from what has happened in the US. 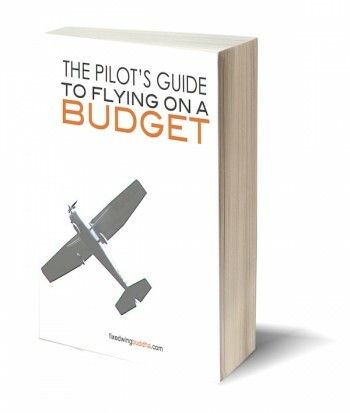 They have learned the value of regional airlines, and the important niche that they fill. It is also fun to see the regional aircraft developing parallel to the much larger aircraft. It will be interesting to see how they will develop in the future, especially with the development of aircraft like the C-series. 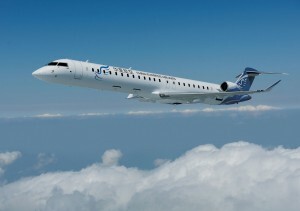 Bombardier Aerospace announced today that China’s sole specialized regional airline, China Express Airlines, has placed a firm order for three CRJ900 NextGen airliners, as well as entered into conditional purchase agreements for five CRJ900 NextGen aircraft with options on an additional eight CRJ900 NextGen aircraft. China Express, based in Guiyang, Guizhou provides regional passenger services with its fleet of five CRJ200 aircraft and six CRJ900 NextGen aircraft. The airline made history last year by being the first to operate the CRJ900 aircraft in the country. Based on the list price for the CRJ900 NextGen aircraft, the firm order is valued at approximately $134 million US. Should the conditional agreements for five CRJ900 NextGen and options on the additional eight CRJ900 NextGen aircraft be converted to firm orders, the value of the contract would increase to $733 million US. More than 140 Bombardier-produced aircraft, including CRJ Series and Q-Series commercial aircraft, as well as Learjet, Challenger and Global business jets are currently operating in Greater China. As of September 30, 2013, Bombardier had recorded firm orders for 1,779 CRJ Series aircraft, including 306 CRJ900 and CRJ900 NextGen aircraft. Worldwide, CRJ Series aircraft are in service with more than 60 airlines and more than 30 customers operate corporate variants of the aircraft. The aircraft are operating in over 50 countries on six continents, and on average, a CRJ aircraft takes off every 10 seconds somewhere in the world. CRJ Series aircraft have transported more than 1.4 billion passengers and have logged more than 38 million flight hours and over 32 million takeoffs and landings. One response to "Bombardier and China Express Airlines Sign Agreement for 16 CRJ900 NextGen Aircraft"